Strings and cables are the life blood to consistent shooting. A set well made will last a long time if you take care of them properly. Unfortunately, strings are not like changing the oil in your car. It would be nice if there was a set number of shots fired, number of months used or a time chart that you could go by to know exactly when to change. But the truth is none of those things would be sufficient because a bow that is drawing 80 lbs. will wear a string much faster than one at 40 lbs. And if you find yourself caught out in the rain the lifespan of the strings is greatly reduced. So, knowing what to consider and what to avoid with your strings will be critical to knowing when to change them and how often it is necessary. Obviously, a daily target shooter will need to change their string set more often than a seasonal bowhunter. 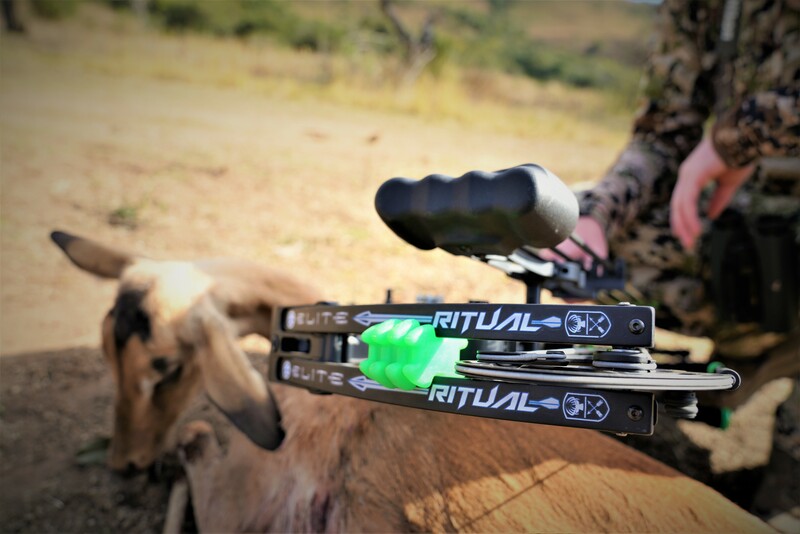 But you might be surprised how rough a season of bowhunting can be on your bow compared to target shooting in a controlled environment. When bow season starts most hunters shoot their bow less than 50 times. But don’t take for granted that your strings aren’t being worked hard. Moisture is arguably the strings worst enemy. 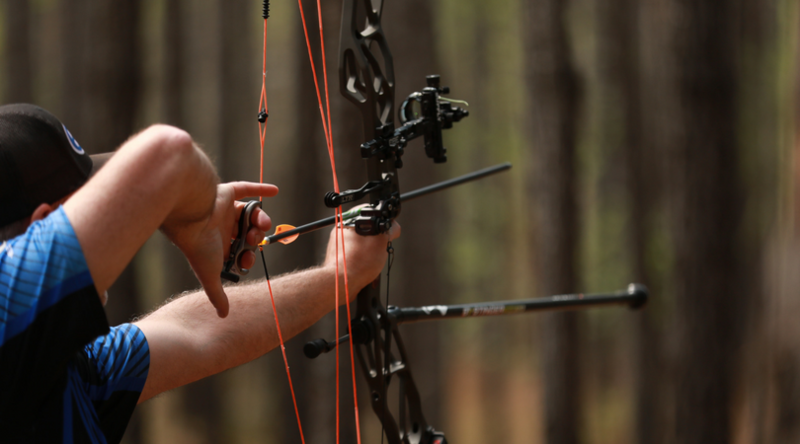 Sure, pulling your bow up to your stand while it drags across limbs is not easy on the strings. Neither is walking through miles of deadfall, buckbrush and briars. But walking through a field of tall grass and getting your strings soaked in the morning dew is quite possibly a silent killer. If a string isn’t adequately waxed moisture soaks into the strings’ fibers causing them to fray, fuzz and weaken when they dry out. Keeping them waxed also helps prevent them from being scuffed and frayed from limbs too. I don’t have a time table for changing strings because of all the variables that could go in to each person’s scenario. But I will say that if you haven’t changed them in over 5 years don’t expect top level performance. If you are a hard-core hunter, bare minimum, change them every 3-4 years. If you are an average target shooter change them every year. Keep in mind that cable wear through the cable slide can cause considerably fast wearing. Inspect around the cams for worn serving and separation. These are indications that a new set is in your near future. When purchasing a new set of string and cables it is important to know what type of material your bow manufacturer suggests. Some warranties are voided if you use something other than their recommendation. Next, find out what type of material your supplier uses. Many string makers have multiple types of material available. If you are more interested in top performance than a warranty, my recommendation is using BCY 452X. A string material that is unstable can cause peep rotation in extreme cold and hot weather. 452X has the perfect blend of vectran and dyneema to keep rotation consistent in all weather. 452X is not the fastest material available but I will gladly give up a few FPS for ultimate stability. Next, use a reputable string company that stands behind their product and has quick turnaround times. As a former string company owner, I can attest to how many garage/basement string companies are “in business”. Many of them lure you in with a cheap price but won’t guarantee their product and take weeks to deliver. Obviously, Winner’s Choice delivers in all areas. WC has a lifetime guarantee against peep rotation, serving separation and creep. Also, you will receive your order within a few days of your purchase, not weeks. If you are like me, you don’t like change. I especially don’t like changing my string and cable set when I’ve got it shooting good. Over the years, I’ve found a few simple measurements and pencil marks can save me a magnitude of headaches. Before I make any changes, I make a simple straight-line pencil mark across both cams that lines up perfectly when the cam and limb are perpendicular to each other. Next, I will measure the distance from the top axle to the center of my peep sight as well as the top edge on the inside of my string loop. This ensures me the best chance to get the loop and peep sight set back in the exact location. Now, I begin replacing one piece at a time, adding or taking away twist, setting the cams back in perfect sync using the pencil marks. After I replace all 3 pieces I turn my attention to the string for the loop and peep install. Remember to always tie in your peep sight even if you expect to make a change. If for some reason the peep comes out of the string while shooting it is like a little bullet flying through the air that loves to make eyeballs into jell-o. One of the most critical elements of getting tuned and staying tuned is consistent nock fit. There are many different nocks available and all of them have their own style of fit, snap and throat size. Whatever choice you make to use on your arrow make sure they fit correctly on the serving. Yes, I know. How should a nock fit? If you ask 10 professional archers you will probably get 5 different answers. But the most common answer would be, “not to tight but not too loose”. When I use my Easton 3D nock I like for it to snap on the serving snug enough to hold the arrow in place without a nock point above or below it, but loose enough that if I bump it up, it will slide up easily. But getting the right fit requires knowing what serving diameter and material you will need to make the fit correct. For my center serving, I prefer BCY 62XS. I find this material last longest, keeps its shape best and has minimal separation. BCY Halo is also another good choice. But my favorite is 62XS. In closing, the best medicine is always preventative. If you have any doubts about your string set, change them. Using a bow sling that covers and protects your strings while in transit, backpacking or just daily use will help prolong your string set’s life as well. I have used the Primos Neoprene bow sling for several years and really like it. Easton Archery also makes a really nice bow sling as well. Go to your local dealer and ask for Winner’s Choice when you need to make your next string set replacement. You won’t be disappointed. They Guarantee it!